Large research infrastructures are unique facilities of high knowledge and technology expertise, which are operated on the basis of open access policy principles. Host institutions operate the large research infrastructures for all their potential users, coming both from research organisations and/or innovative enterprises. Large research infrastructures enable user communities to achieve cutting-edge results in fundamental and applied research and to develop state-of-the-art technologies with a high potential for application in innovative products and services of a high added value. In recent years, the Ministry of Education, Youth and Sports has responded to increasing importance of research infrastructures within the European Research Area and worldwide. A number of steps has been made to help create suitable environment for the construction, operation, further development, financing and integration of the large research infrastructures of the Czech Republic into international research infrastructures´ networks and legal entities – in order to reflect the research infrastructures as one of the key elements of the national research and innovation ecosystem of the Czech Republic. In 2009, based on the amendment to Act No. 130/2002 Coll., on the Support of Research, Experimental Development and Innovation from Public Funds a specific grant scheme aimed at financial support of the large research infrastructures from the public funds of the Czech Republic was introduced. At the same time, the Ministry of Education, Youth and Sports was entitled to become the national authority of the Czech Republic responsible for large research infrastructures policy-making and funding. In 2010, the very 1st Roadmap of Large Research Infrastructures of the Czech Republic was issued as a strategy document of the Czech Republic, which – by its structure and contents – corresponds to the Roadmap of European Strategy Forum on Research Infrastructures (ESFRI). The latest update of the Roadmap of Large Research Infrastructures of the Czech Republic sets the strategy for large research infrastructures policy-making and funding in the years 2016-2022. 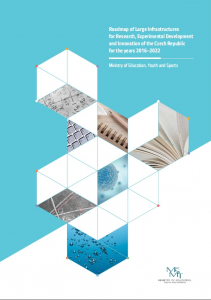 In 2010, the Ministry of Education, Youth and Sports established an expert advisory board for the large research infrastructures agenda – the Large Research Infrastructures Council (pdf) – bringing together the representatives of all relevant and interested stakeholders of the Czech Republic. The Large Research Infrastructures Council, therefore, gathers delegates of the Ministry of Education, Youth and Sports; Research, Development and Innovation Council (an expert advisory board to the Government of the Czech Republic); higher education institutions; Academy of Sciences of the Czech Republic; and large research infrastructures operated in individual scientific fields. Since 2014, the Ministry of Education, Youth and Sports has carried out a periodic and comprehensive international evaluation of large research infrastructures of the Czech Republic. 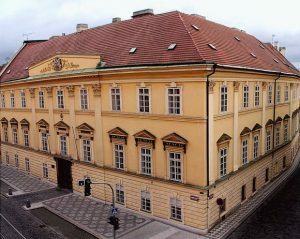 The outputs of these evaluation procedures are provided by the Ministry of Education, Youth and Sports to the Government of the Czech Republic as an independent expert basis for the adoption of informed political decisions on financing large research infrastructures from public funds of the Czech Republic. Furthermore, the assessment outputs have served as an independent expert basis for periodic updates of the Roadmap of Large Research Infrastructures of the Czech Republic and for decision-making on the support of the proposals of pan-European research infrastructures applying for the ESFRI Roadmap updates with the participation of the Czech Republic.